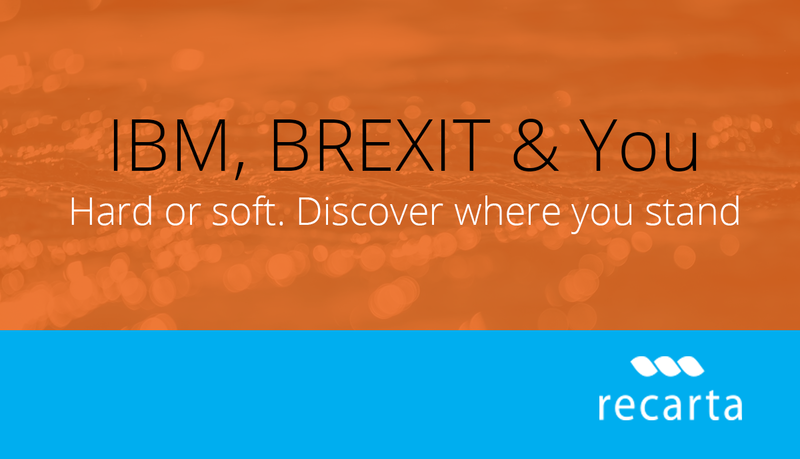 There seems to be some confusion around IBM’s position related all things BREXIT. At the time of writing the position regarding the current EU common board policy remains uncertain as to whether we adopt a hard or soft approach to board control. “IBM will continue to operate our business and serve our clients regardless of the result of the Brexit negotiations between the UK and the EU. We expect that the current UK/EU negotiations will result in a transition period and ultimately in future arrangements which will not materially interrupt business. However, we accept that it is prudent to make contingency plans to deal with a scenario in which there is not a comprehensive agreement, either in March 2019 or at the end of the transition period. IBM processes the personal data of UK and EU citizens in the UK both as a data controller and as a processor on behalf of our clients. Movement of personal data between the UK and the EU will be classed as an international transfer post Brexit and would require us to utilise one of the mechanisms available to cover international transfers under the GDPR regime unless an alternative mechanism is agreed as part of the Brexit arrangements. IBM’s UK business also imports goods into the UK from the EU and other parts of the world and moves IBM personnel into and out of the UK. We are evaluating whether any changes may be needed in our supply chain and personnel management programs, and will take account of these risks in our planning processes”. “We are working with our primary supplier to ensure that if boarders, hard or soft are put in place, there is no disruption to supply . We have identified one risk in our current model and that will be mitigated by mid Feb 2019. As such at this time we see no substantive risk to our ability to supply service to SLA, we will continue to work with our suppliers. As and when we have more facts we will be able to issue a comprehensive update. Our planning at this time is considering a hard border”.